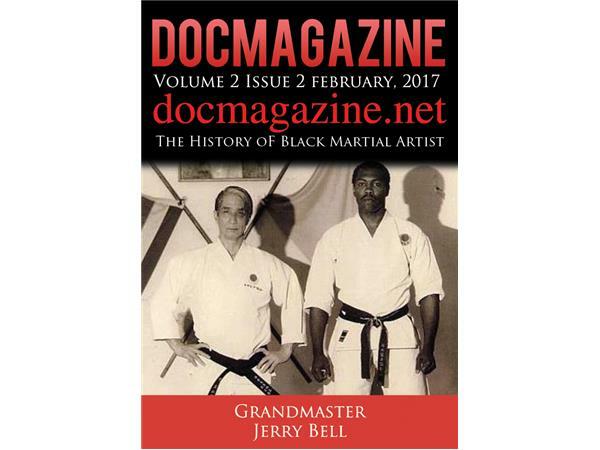 Exclusive interview with the Legendary Grandmaster Jerry Bell we delve into "The history of black Martial Arts". Grandmaster Jerry Bell. His martial Arts training began at age ten and on his sixteenth birthday, he moved to Japan and his Karate-Do studying began with the Japan Karate Association (J.K.A.) in Tokyo under the teachings of Master Masatoshi Nakayama. He also trained with some of the most prestigious traditional Grandmasters in Japan, such as the great Grandmasters; Masutatsu Oyama, Yojiro Ishikawa, Osaka Shinto, Hidetaka Nishiyama, Teruyuki Okazaki and Muramasa Kudo. Master Bell was the first foreigner to enter the Kumite Karate Tournaments in Japan, and becoming the first foreigner to ever win the traditional competition. Master Bell founded the Black Ryu Organization in Los Angeles, California. Some of its early members included Cuba Gooding Jr., Black Ryu is an organization dedicated to the martial arts in their most ancient form. The Art can trace its origin as far back as ancient Egypt, and the African continent. In 2004, Master Bell returned from retirement to once again win the World Kumite in Osaka, Japan. He would later instruct Eddie Griffin, and many others in the entertainment community. In addition, he has trained Special Operations Forces domestically and internationally as well as being the personal security advisor of the royal family of Malaysia. Mr. Bell is now in The Black Belt Hall of Fame, The Martial Arts Halls of Fame and the World Karate Hall of Fame as well as earning 6 World Gold Medals, and 3 Silver Medals. He has a 7th Degree Black Belt in Shotokan, a 4th Degree Black Belt in Kyokoshinkai, a 6th Degree Black Belt in Iaido, a 2nd Degree Black Belt in Judo, a 4th Degree Black Belt in Aikido, and a 10th Degree Black Belt in Jujitsu. Master Bell now holds the ranking of the Ninth Dan Black Belt.